Steel Dog innovated a new cooker design that provides a portable, simple to use, easy to clean solution for all outdoor cooking situations. Steel Dog started their backyard grill equipment business by word-of-mouth alone. As competition was rising it was obvious that social media management and marketing would be the answer to growing the business further. The goal was to get brand awareness and product exposure to showcase their innovative cooker. Steel Dog knew it would be equally important to have a successful landing page that could convert traffic into sales on their website. During the launch of their new landing page, we as also implemented marketing strategies on social media that increased traffic to their website and business. They trusted Chappell Capital to optimize their landing page and manage paid social initiatives. 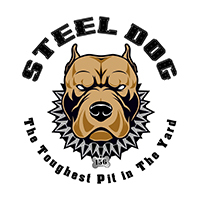 This allowed for Steel Dog to get a great amount of exposure to their business which lead them to being featured in many magazines, articles, and events.